As of 2018, the Yukon will be represented in the main draw of both the Tim Hortons Brier and Scotties Tournament of Hearts. The major format change was announced Monday by Curling Canada following the organization’s annual general meeting held last week in Collingwood, Ont. 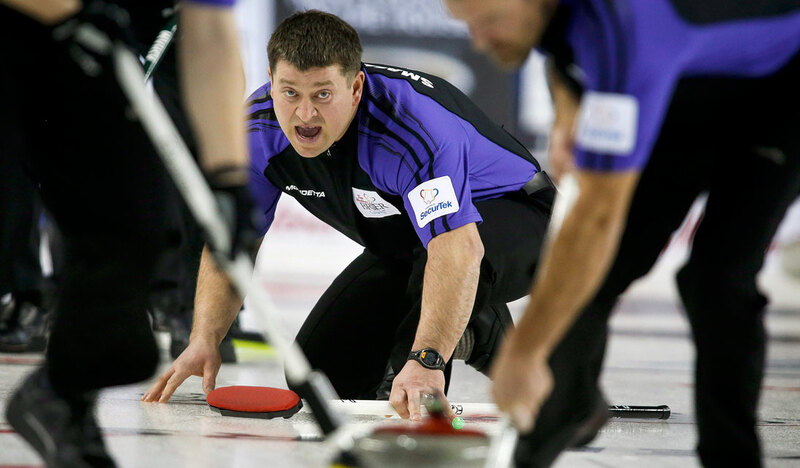 The move signifies a break from tradition and will grant rinks from all 14 member associations direct entry into the main draws of both the men’s and women’s national curling championships. “This is a massive step forward for curlers in the Yukon,” said Laura Eby, executive director of the Yukon Curling Association. The Brier has existed since 1927 and the Scotties has existed in a variety of formats since 1961, she noted. The format for the new-look championship will be hashed out at next year’s meetings, she said. Curlers will have to wait two more years for the changes to take effect as the current pre-qualification system needs to be retained for 2016 and 2017 to remain consistent during the Olympic quadrennial. “As always, we listened to the input of our member associations and stakeholders,” said Hugh Avery, chair of Curling Canada’s board of governors. The board’s vote was unanimous, said Eby, moving her to tears. “I was just ecstatic,” she said. This past season, both Yukon rinks at the Canadian championships were eliminated before the main draw. Bob Smallwood’s male squad was eliminated 7-6 by Prince Edward Island on national television in the play-in game, while Sarah Koltun’s female team was knocked out in the relegation round after losses to Northern Ontario and the Northwest Territories. Curling Canada said the expanding championship fields will be a pilot project. The potential to add other teams with pre-qualified status was also hinted at. The altered format wasn’t the only change announced following last week’s meetings. Junior players will now be eligible to compete in the national championships. That news, along with a new residency rule for elite teams that will allow member teams to have one non-resident on the roster, were the most significant changes announced. To give pre-qualification teams a better experience in 2016 and 2017, Curling Canada also said all teams will be awarded athlete funding. But the elimination of the pre-qualification round was easily the highlight of the week, said Eby, who attended the meetings with local curling board members Ellen Johnson and Laini Klassen. Eby said the changes to the Brier and Scotties will benefit the Yukon curling scene in many ways. “I see it as a huge benefit to growing the sport in the Yukon,” she told the Star. “When we do finally get the entry, I think it’s going to be huge.